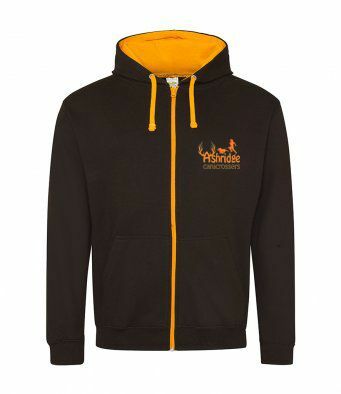 Ashridge canicrossers clothing. All original items should be exactly the same as previously ordered. The logo has slightly changed to have both a male and female runner included. There are some additions to the original kit - a technical vest, a technical polo shirt, a technical hoodie and a waterproof 'mac in a sac'. All items will have a small logo on the left front, as well as a large logo on the back.